Sleepwalking or somnambulism is a type of sleep disorder that involves a person to get out of bed, walk, and perform various activities during in a state of sleep. For children, sleepwalking is never uncommon. As a matter of fact, sleepwalking can peak in children aging 4 years old to 12 years old and children can usually outgrow the medical condition as they turn into adolescents. Sleepwalking or somnambulism generally does not possess any health threats, but sleepwalking can be very hassle and it can also result to life threatening situations. Knowing and having a proper diagnosis of sleepwalking will be beneficial to keep the sleepwalker safe from injury, as he or she will be given tips and management for his or her sleepwalking condition. 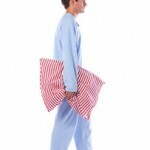 Just like mentioned above, sleepwalking is very common in children and less common in adults. When adults are suffering from sleepwalking episodes, it is commonly confused as other sleep disorders or it can commonly co exist with other sleep disorders. Safety for adults’ sleepwalking episodes is more compromised than children, since adults’ sleepwalking episodes carry higher risks for endangering other people. 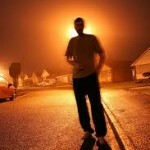 Sleepwalking can easily be diagnosed through other people’s observation while you sleep. If you live or sleep in a room with another person, then you can ask him or her to observe you while you sleep and whether you sleepwalk or not. Aside from that, you can also go to the doctor and have a physical exam and/or psychological exam to identify whether you are suffering from another sleep disorder that may possibly be confused with sleepwalking. There are cases that the doctor will ask the patient to sleep overnight at a sleep center or sleep laboratory to conduct sleep studies, which is also known as polysomnogram. During a polysomnogram, sensors will be attached to the patients head and various parts of the body to send electric signals. A chip will then be attached to the patient’s finger. There is also a specific type of sleep study that will involve using a video camera that will record the patient’s sleep throughout the night. Sensors attached to the patient at various parts of the body will help in recording the patient’s heart rate or HR, respiratory rate or RR, brain waves, eye movements, leg movements, muscle tension, and oxygen levels in the blood. The next day, the sleep doctor will review all the information acquired during the patient’s polysomnogram.